How long will it take for my car accident claim to settle? With the Illinois Department of Transportation reporting 285,477 crashes on state roadways in 2013 and 85,031 injuries during that time, many state motorists find themselves filing insurance claims for related damages and expenditures. These claims may come from victims seeking compensation for property damage to their vehicles or property, or they may involve those seeking compensation for medical bills following an accident with injuries. These claims may also be filed by family members who have lost loved ones due to automotive fatalities that occur on Illinois roads. Regardless of the type of claim filed, an Arlington Heights auto accident attorney knows that many who file claims have the same question: How long will it take a claim to settle? Unfortunately, there is no simple answer to this question. The amount of time the claims process takes varies based on whether the claim filed involves property damage, bodily injury or either of these in an accident involving a government entity. According to the Illinois Department of Insurance, one of the first things that must be determined is whether a first-party or third-party claim should be filed. If a driver has appropriate coverage, a first-party claim can be filed regardless of who was at fault for the accident. Otherwise, a third-party claim may be filed with the other driver’s insurance company. Because insurance laws differ when it comes to first and third-party insurance claims, it is essential that anyone filing fully understands the difference and what must be done in each case. Under first-party claims, insurance companies are required to adhere to any and all stipulations described by a policyholder’s chosen policy. When it comes to third-party claims, only the other policyholder has contact with the insurance company, and the insurance provider’s primary responsibility is to their own policyholder. Illinoisans who file auto accident claims face restrictions as to when they may file a lawsuit or accept a settlement based on the type of damages they seek. According to IDI, bodily injury claimants must either file a lawsuit or accept a settlement within two years of the accident. If the claimant was under 18 at the time of the accident, the two-year timeline begins on his or her 18th birthday. Those facing property damage caused by an accident have five years to file a claim regardless of age at the time of the accident. When a government entity is involved in the accident, deadlines are less defined. The claim must be filed within the appropriate time period decided upon by whatever entity of government was involved in the accident. An Arlington Heights auto accident attorney knows that failing to file a lawsuit or accept a settlement within these parameters eliminates one’s chances of securing any type of settlement. According to the Illinois Department of Insurance, insurance providers are obligated to produce the paperwork needed to present a claim within 15 days of the initial request to do so. Furthermore, the Illinois Administrative Code dictates that any property damage claims that remain unresolved for more than 60 days warrant a written explanation from the insurer detailing the reason for the delay. Once a claim is filed, the other motorist’s insurance company will conduct its own investigation of the incident and determine whether the individual they insure is legally liable for injuries or related damages. If a claim is offered, the individual receiving damages will generally be asked to sign what is known as a “release for damages.” Essentially, this document serves as an agreement that the settlement offered encompasses all the money to ever be received from the other driver and his or her insurance company. Thus, cashing the check or signing this release is a signal of one’s acceptance of the settlement terms as offered. Sometimes, an insurance company and an accident victim may agree on a monetary amount for property damage. However in other situations, the victim may not be ready to do the same for any injury claims because of a need for ongoing medical care. Insurance companies and an Arlington Heights auto accident attorney know insurance providers are not allowed to fail to process property damage claims simply because bodily injury claims are still ongoing. Once a claim is denied by an insurance provider, only a judge or jury can determine who was at fault for an accident and how much is owed to those involved. According to the National Association of Insurance Commissioners, delay in the claims process is a common complaint among policy holders. There are several actions that can be taken to help facilitate the claims process and ensure it gets done in a timely manner. Fully understanding one’s policy, filing a claim right away, providing all requested information and keeping records of all associated correspondence may help speed up the process. While it is important to get a claim completed in a timely fashion, it is also important not to accept a settlement that fails to meet expectation. 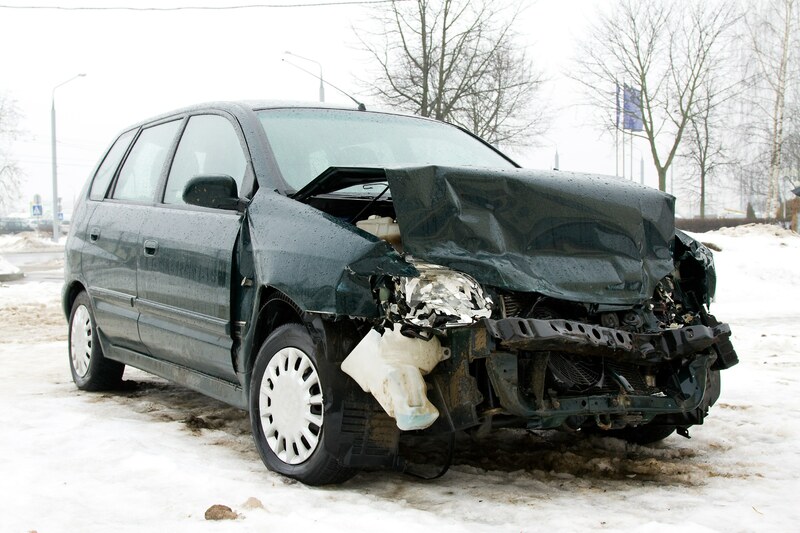 Anyone who has questions about filing an auto insurance claim should contact an attorney.